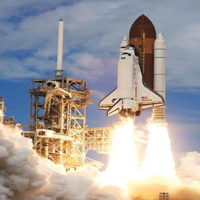 Shibani Air offer mass of courses to promote aviation industry and aeronautical sciences in India. 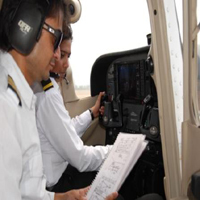 Shibani Air is aviation specialist with more than 21 years experience in providing Pilot courses. This is India’s most reputable company that has provided winds to wings of many aspirants by offering the best national and international pilot training. We at Shibani Air Services issue Student Pilot License (SPL) to a candidate in training that is required when flying alone in the aircraft. 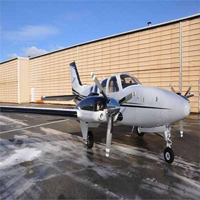 If you are among those people who dream to fly in the sky but could not turn it into reality due to any sort of reason then you can pursue it now with SPL. Shibani Air offers you an amazing opportunity to reach at the dream destination on your terms by flying with all comforts and style. Whether it is business traveling or just a fun, we helps you fly with SPL as hobby flying and travel anytime at wherever you want with no hassles. Shibani Air benefits students by providing India’s one of the best rated Commercial Pilot License (CPL). It helps them to join airline companies as a commercial pilot. 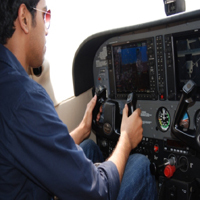 Professional Pilot Course with 18 months of duration qualify student as Pilot. We have numbers of students that today working as commercial pilot with leading Airline Companies. This course is designed by Shibani Air to allow pilot act as pilot in order of the particular multiengine airplanes. Instrument rating training provides the needed skills to fly in instrument meteorological conditions. The training teaches students to fly with correctness in gradually more complex air traffic system. 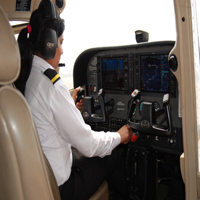 Shibani Air provides the successful development of pilot skills and knowledge by offering the advanced training programs. 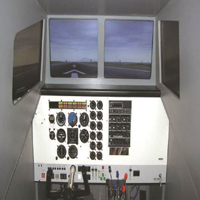 We use DGCA-approved, cutting-edge computer-based, single and multi engine flight simulators throughout the program and ATC Instrument Training System (PCATD) to provide the effective training to students. Assistant Flight Instructor's Rating (Helicopters/Aeroplane) course is designed to help students build time on priority and get completely prepare at Shibani Air. We provide a great opportunity for present CPL (Commercial Pilot Licence) holders to get into the instructors shoes by offering this instructor rating courses. Shibani Air offers Flight Instructor Rating (FIR) required by CPL holders to work as a flight instructor for conducting training to students. An applicant for the flight instructor’s rating shall meet the various requirements. 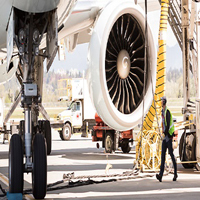 Maintenance Engineers of the Aviation Industry are respected for their dedication, professionalism and hard work throughout the world. This is one of the high demanded professions where employees get a very fat salary package. Shibani Air is the only academy that is approved by DGCA in all streams and own heavy aircraft with helicopters and jet engines for training.